When I was in my twenties, I had a theory that most novelists my age—including myself—were more or less faking it. Until you turned thirty, I thought, even a spectacular literary debut was usually just a pastiche of similar works the author had read and internalized, rather than a reflection of real experience. You had to have lived a little longer, and done something besides spend all your time writing, to express something meaningful about the world; until then, you were left with technically clever imitations, some admittedly more graceful or ingenious than others, of the books you’d loved yourself. Now that I’m in my thirties, I’ve modified my opinion: I suspect that we’re all faking it. (This isn’t confined to writing either: it’s a terrifying realization about being a grownup in general. 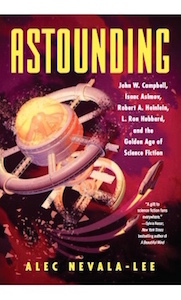 As the father says in Calvin and Hobbes, “I don’t think I’d have been in such a hurry to reach adulthood if I’d known the whole thing was going to be ad-libbed.”) In their first drafts, at least, most writers don’t really know what the story is about, so they end up writing a kind of extended simulation of the novel they want to see, a patchwork of good guesses and impersonations that they hope to revise into the real thing. That’s why I’ve come to treasure works of art, regardless of their ethical or philosophical point of view, that seem like the product of earned experience. I’m aware, obviously, that I may just be responding to a particularly convincing act of sleight of hand, but it doesn’t feel that way: there’s something in really great works of art or literature that takes us by the hand to show us that we’re in the presence of a genuinely alert intelligence. That’s true of books as different as The Magic Mountain and Catch-22, or movies with as little in common as Last Tango in Paris and My Neighbor Totoro. Sometimes a really honest exploration of the world can end up in a place of despair, but it’s easy to tell the difference between a work of art that ends up in the darkness because it has no other choice, like Caché, and one that takes it as a fashionable starting point, like Fight Club. And I’ll take wisdom wherever I can find it, even if it ends up staking out the position, which may not be wrong, that existence is fundamentally meaningless. But such works are all the more precious, at least when it comes to getting through this life in one piece, when they express a basically optimistic view of the world. Take, for instance, A Canterbury Tale. 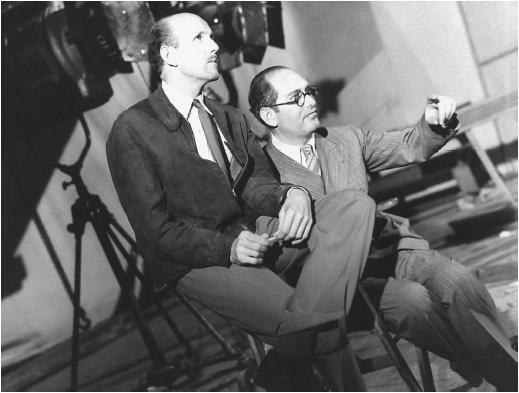 The films of Michael Powell and Emeric Pressburger are wonderful for a lot of reasons—their wit, their inventiveness, their curiosity, their enormous visual energy—but what I’ve come to value in them most is their air of a wisdom that isn’t confined to the movie studio. 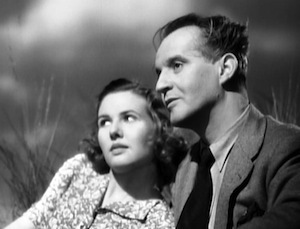 Powell and Pressburger lived crowded, eventful lives, and their films are crammed with tiny moments of anecdote and observation, side by side with spectacular artifice, that speak to deep experience. When necessary, they don’t shy away from darkness or tragedy: The Red Shoes ends the way it does for a reason. Throughout it all, though, they remain sympathetic, humane, and attuned to a vision of what makes life worth living. A Canterbury Tale is both their gentlest and most radical work, a leisurely, nearly plotless slice of life that remains endlessly watchable because it’s so intensely observed. 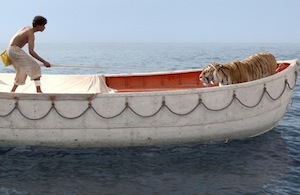 It was shot during World War II, which affects the lives of all the characters involved, and although it was clearly designed as a boost to morale, it winds up being much more. It’s propaganda, if you like, for the values of humor, simplicity, and forgiveness, and it ends so happily that I can’t help hoping that it’s true. But I wouldn’t believe in it at all if Powell and Pressburger hadn’t given me good reason to trust them in the first place. For as long as I can remember, the movies have been a huge part of my life. Growing up, I raided my parents’ videocassette collection on a regular basis, and may have been the only eleven-year-old in my fifth grade class whose favorite movie was 2001: A Space Odyssey. In high school, I was lucky enough to live only a short train ride away from the wonderful UC Theater in Berkeley, and spent many a wonderful weekend there taking in a double feature. (The only time I ever cut class on purpose was to catch an afternoon screening of Last Tango in Paris.) I continued this tradition in college, with countless visits to the Brattle and the Harvard Film Archive, and in New York I had an embarrassment of riches at the Film Forum, Lincoln Center, Landmark Sunshine, the Ziegfeld, and even the Angelika, despite its awful seats, screens, and location above a rumbling subway line. Chicago, meanwhile, offered the Music Box, Landmark Century, and many others. As a result, for the past fifteen years, I’ve probably averaged a movie a week, and sometimes more. Which is why one of the hardest adjustments I’ve had to make as the father of a newborn baby centers on the fact that I’ll no longer be able to go to the movies as often as I’d like. For someone who has long been used to seeing the latest releases on opening weekend, and plenty of art house and revival movies on a regular basis, this is a real shock. The last movie I saw on the big screen was The Hobbit, and I’m not sure when I’ll have the chance to catch another. This wouldn’t be as big of a deal if Beatrix had happened to arrive, say, in early February, when there isn’t much worth seeing in any case. But as luck would have it, she was born at the height of Oscar season, which means I haven’t been able to see a wide range of movies that I otherwise would have caught on opening day: I haven’t seen Django Unchained or Silver Linings Playbook or Zero Dark Thirty or Amour or Les Misérables or even This is 40. I owe Christopher McQuarrie a personal apology for failing to at least check out Jack Reacher. And in a year that was already shaping up to be one of the best for popular filmmaking in a long time, it’s a loss that I feel deeply. 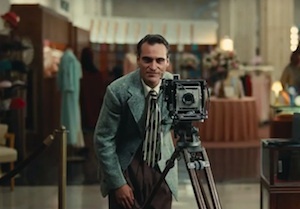 Nevertheless, beginning tomorrow, I’ll be counting down my ten favorite movies of the year, as I’ve done every year since starting this blog, despite the fact that the list will contain a number of startling omissions. At first, I was tempted to skip this year’s ranking, or to hold off on the outside chance that I’d at least see a couple of the movies mentioned above before Oscar night. At the moment, this doesn’t seem likely, so I’m going ahead with what can only be seen as an incomplete pool of contenders. Yet even if you arbitrarily cut the movie year off in the middle of December, as I’ve effectively done, you’re still left with an extraordinary year for cinema, and especially for big popular movies—a better year, in some ways, than either of the two I’ve covered here in the past. As such, it was perhaps the best year imaginable for me to say goodbye to cinema, at least for now: I’ve missed a lot, but I feel blessed to have seen the movies I did. The ones I’ve been forced to omit will still be waiting for me when the time comes, even if I end up watching them months from now, at home, with a baby in my arms. And when I put it that way, it doesn’t sound so bad at all. Yesterday I posted a list of my fifty essential books—that is, the fifty books that I would keep if I were deprived of all others. When I tried to do the same for movies, I found that the task was slightly easier, if only because I had fewer titles to choose from. (In both cases, I’ve tried to limit myself to books and movies that I actually own.) The result, as before, is a portrait of myself as expressed in other people’s works of art—which, in the end, may be the most accurate kind of self-portrait there is. Random observations: I had to look up the names of two of the directors (for Spellbound and Sleeping Beauty). Up until a few minutes ago, the last place on this list was occupied by The Life Aquatic With Steve Zissou, which I had to drop after realizing that I’d left out Last Tango in Paris. I allowed myself more than one movie per director, with the largest number of slots occupied by Kubrick (four), Powell and Pressburger (three) and Scorsese (three). And I’m slightly surprised to find that my three favorite movies of the last decade are evidently Spellbound, Spirited Away, and Casino Royale. Sharp observers might be able to guess which film occupies the top spot in the list of my favorite movies of the past year, which I’m hoping to post later this week. And in any case, if you have a Netflix account that you aren’t using, well, hopefully this will give you a few ideas. It’s safe to say that no other movie this year, aside perhaps from Inception, filled me with so much unnatural anticipation as Black Swan. Ever since my first encounter with Michael Powell and Emeric Pressburger’s The Red Shoes, which I think is the best movie ever made, I’ve had an uninformed but highly emotional interest in ballet, especially ballet on film. Darren Aronofsky, coming off The Wrestler, is easily one of the ten most interesting directors in America. And while Natalie Portman has been making a career, as Pauline Kael once said of Meryl Streep, of seeming to overcome being miscast, she’s still an actress for whom I have a lot of affection and respect (even if she seems determined to squander it). But Black Swan is still a deeply problematic movie, in ways that I don’t think Aronofsky intended. The story, without giving too much away, is that of a young ballet dancer’s descent into madness. And it plunges you into that madness so quickly, almost from the very first shot, that there’s no sense of loss as her sanity slips away. From the beginning, Portman’s character, Nina, comes off as hopelessly fragile and neurotic, and she’s never given the kind of emotional grounding—a scene with friends, say, or even a moment of ordinary human behavior—that might have made her story genuinely tragic, rather than a chilling exercise. What Black Swan needs, above all else, is a first act, set in the real world, before Aronofsky releases all of his lovingly conceived visual and aural shocks. As it stands, it’s tempting to see Nina as a surrogate for the director himself (though it should be noted that Aronofsky did not write Black Swan, which is based on a screenplay by Andres Heinz, Mark Heyman, and John J. McLaughlin). Nina is repeatedly told that she has perfect technique, but needs to lose herself in the moment, a criticism that can be leveled, not without reason, at Aronofsky. Even more than Christopher Nolan, Aronofsky is the most left-brained of all directors with access to stars and large budgets, and he might well argue that, objectively speaking, Black Swan is perfect. Which is probably true. But subjectively, in ordinary human terms, it’s dangerously close to ridiculous. Aronofsky has obviously seen The Red Shoes, and includes one scene—an audition filmed from the point of view of a pirouetting ballerina—that is clearly intended as homage. And both movies are about dancers whose leading roles become tragically literal, and ultimately destroy their lives. The difference, though, is that The Red Shoes implicitly contains all of Black Swan, and embeds it in a much larger story about art, love, and the wider world that Aronofsky only shows us in fragments. Vicky, in The Red Shoes, is destroyed by the conflict between art and life. For Nina, there is no life, only art, and thus no conflict: she’s a creature of art in a movie that cares about nothing else. And by the end, it’s unclear why she, and nobody else, has gone crazy.